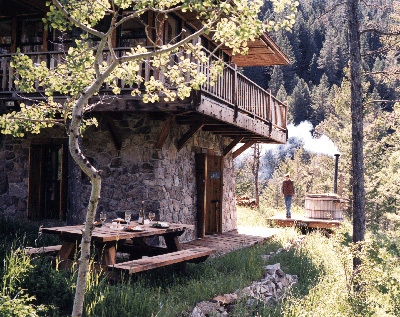 The Shelden’s Judith Mountain Cabin | Shelby White - The blog of artist, visual designer and entrepreneur Shelby White. 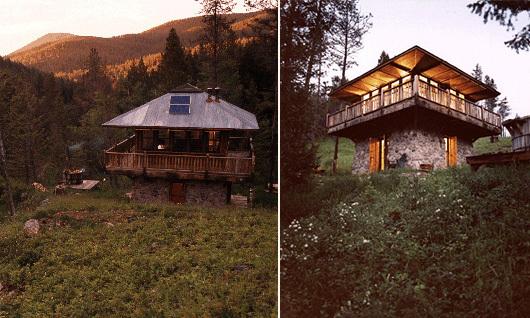 I don’t believe architectural beauties in Montana and Idaho get enough credit. 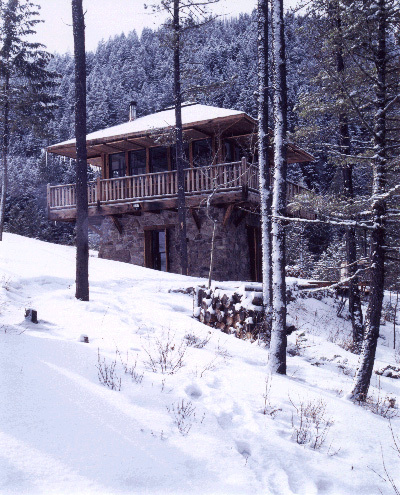 This particular cabin is owned by my good friend Ian Matteson’s family friends Jeff & Lois Sheldon. It came to fruition in 1993 when their neighbor deeded 113 acres of land to the Sheldon’s for $2. 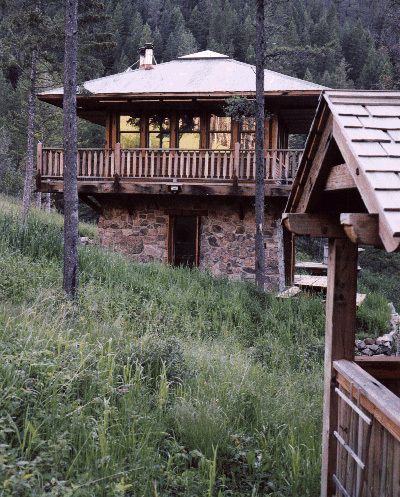 A small cabin was already on the land, but at the base of the canyon. 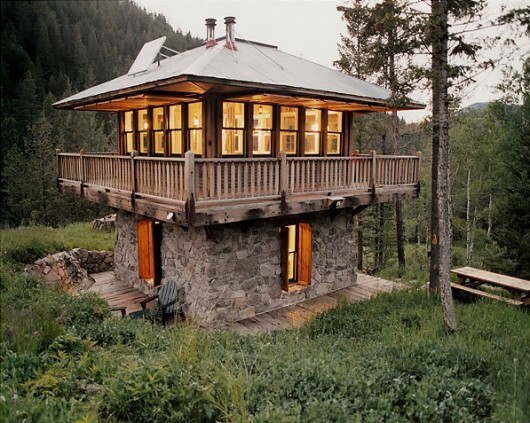 The new cabin was to be built further up the mountain to feel as if it was a lookout. I’ve been to quite a few lookouts growing up and I would agree that they are quite amazing—scary at times, but nevertheless amazing. 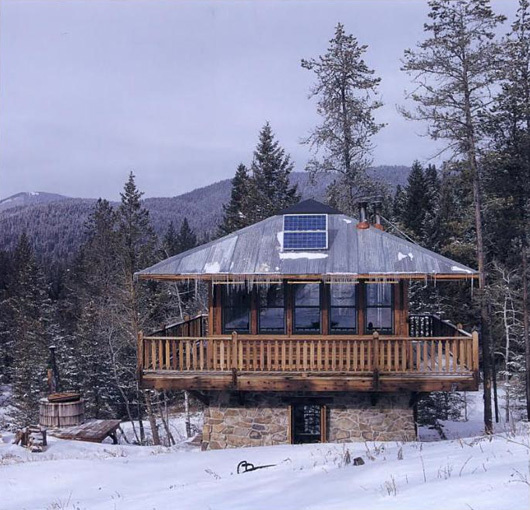 The cabin is powered by two fifty-watt photovoltaic panels that provide direct power to outlets, lights and the well pump. They also power things like a stereo, running water in the sink and even a wood-fired hot tub. This place is such a truly amazing and original place, I visited the cabin 2 winters ago with Ian and our good friend Joey, after a short hike in it was amazing to see this creation on the hill in front of you! We stayed there for a night and it has not escaped my mind ever since. One of the best touches is the skylight at the top point of the roof which is great for staring deep into space. Thanks Lois and Jeff for letting us stay! It’s like a lonely watchtower, absolutely stunning. I love the stone walls and the wood stove. 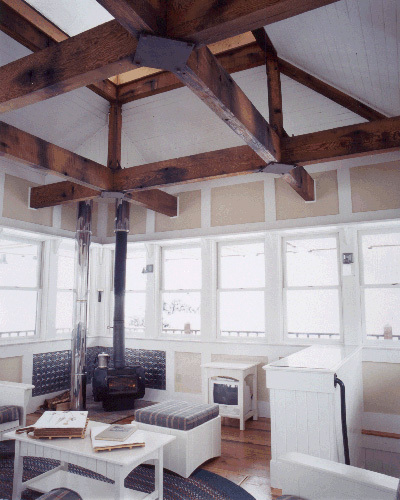 Nothing like a wood stove to keep you warm and cosy in winter. @Ken, That’s awesome! Such an amazing cabin. I’m interested in the floor plans for this outstanding cabin. It is beautiful. as everyone else I too am interested in the plans. How can I get a set. Do yo know where I can purchase a set of the plans? I would love to get a copy of the plans for Shelden’s Judith Mountain Home. Please get in touch and let me know what’s needed to do so? I have some land on the Cumberland Plateau in Tennessee and this would make a perfect home for me. I’m so ready to downsize. My email is strider2253@hotmail.